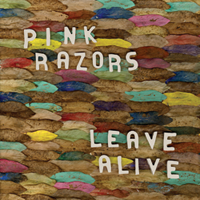 In the wake of great change for punk-pop purveyors PINK RAZORS, their second LP "Leave Alive" reflects the band's transformations. The band's penchant for hooks, crunch, and speed remain intact here but are given more room to breathe, resulting in longer, more developed pop constructions that explore different tempos. Early listeners cite a more pop-punk Superchunk, or a cleaner Scared of Chaka. This first release since adding new member Erin Tobey was recorded just before she and principal songwriter, Jeff Grant, left their Richmond, VA home base for the smaller town of Bloomington, IN. With drummer Adam Monroe hopping around the US between seasonal forest service jobs and bassist Justin Owen still in Richmond, the band's rare opportunities to meet up for shows, recording, or writing seem only more significant now. 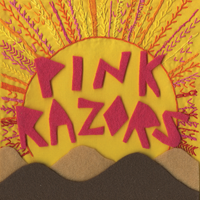 Amidst this turbulence, the band grabbed the reins of their fate by releasing this sophomore full-length on their own upstart, Houseplant Records (after time as the black sheep on the Robotic Empire label and a follow-up 7" on the smaller Rorschach label). The handmade "fall colors in full color" artwork make this 12" an eye-catcher, the kind of record you'll want to stare into as the vinyl spins. Recorded by Steve Roche at Permanent Hearing Damage, Philadelphia, PA. 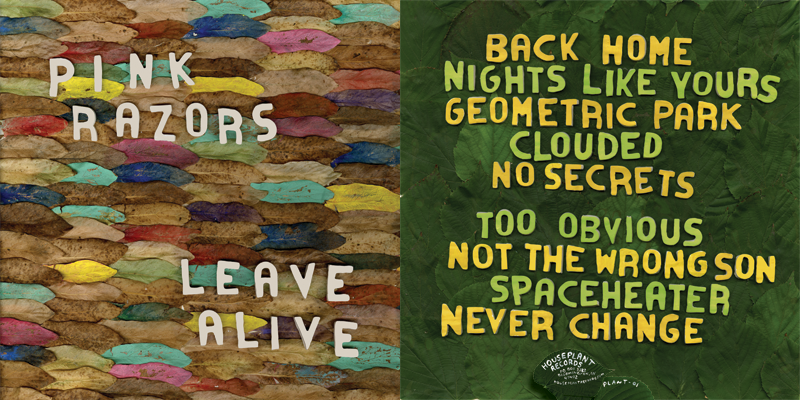 Album artwork by Erin Tobey. Three gut-punches of punk and melody captured right when the band's original lineup was playing at their best. MRR said it reminded them of The Misfits - we'll take it!